Keith on behalf of Imaginos I thank you!!!! 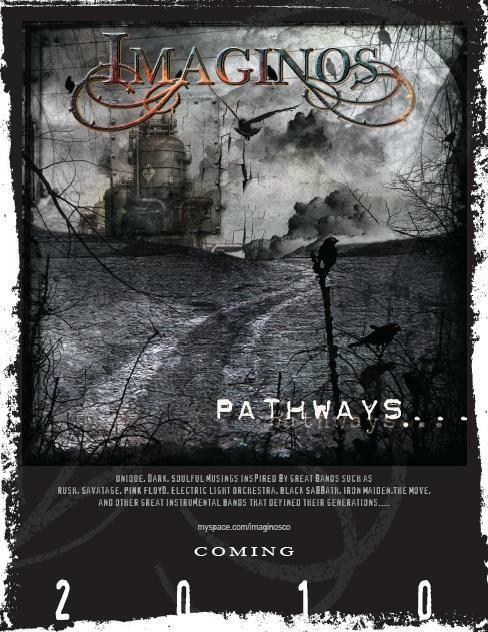 The Imaginos "Pathways" album is brilliant! The prettiest harder rock that I've ever heard! Numerous songs standout as hits, and the music & songwriting is filled with mystery and storytelling! Unlike most distorted heavier rock music, these songs present breathtaking clarity & balance! This album should be a hit for younger & older audiences around the globe! We wanted folks to know we have t-Shirts with the "Pathways" art done by Mitch Page! Really Cool! Tx again KJS!!!!! !